You've added Bruny Island Cruises, Mount Wellington, Port Arthur Historic Site, and other attractions to your itinerary. 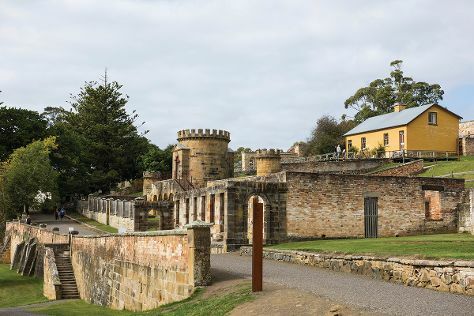 On the 4th (Thu), contemplate the long history of Richmond Gaol, then appreciate the extensive heritage of Port Arthur Historic Site, and then take in the awesome beauty at Mount Wellington. On the 5th (Fri), you'll have a packed day of sightseeing: tour in harmony with nature at Bruny Island Cruises, appreciate the extensive heritage of Battery Point Sculpture Trail, and then take a leisurely stroll along Constitution Dock. To find maps, reviews, and other tourist information, read our Hobart online trip itinerary planner . Melbourne to Hobart is an approximately 4-hour flight. You can also do a combination of ferry and car; or do a combination of ferry and bus. In April in Hobart, expect temperatures between 21°C during the day and 9°C at night. On the 6th (Sat), you'll have the morning to explore before heading off to Launceston. Start off your visit on the 6th (Sat): learn about winemaking at Tamar Ridge Cellar Door, identify plant and animal life at Platypus House, get up close and personal with brilliant marine life at Seahorse World, then discover the riches below the earth's surface at Beaconsfield Mine & Heritage Centre, then stop by Goaty Hill Wines, and finally browse the exhibits of Design Centre Tasmania. 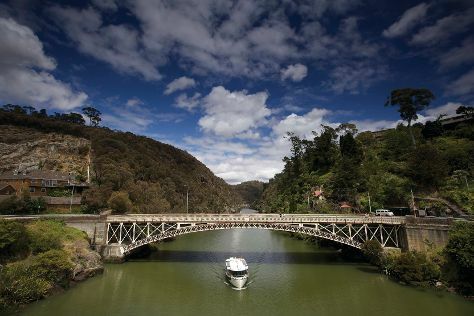 Here are some ideas for day two: indulge your taste buds at Harvest Launceston, Community Farmers’ Market, admire the masterpieces at Queen Victoria Museum & Art Gallery, then contemplate the long history of Woolmers Estate, then snap pictures at Alexandra Suspension Bridge, and finally look for all kinds of wild species at Cataract Gorge Reserve. For photos, where to stay, reviews, and other tourist information, read Launceston online travel route planner . Getting from Hobart to Launceston by car takes about 2.5 hours. Other options: take a bus. In April, plan for daily highs up to 20°C, and evening lows to 7°C. Finish your sightseeing early on the 8th (Mon) so you can travel back home.